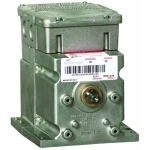 Modutrol IV Motors are spring return and non-spring return motors used to control dampers and valves. 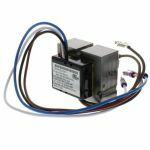 • M62xx models are three-wire floating control motors for use with controllers that provide a switched spdt or floating output and have an internal electrically isolated feedback potentiometer that provides indication of the motor shaft position. 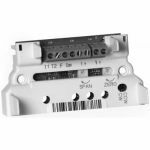 • M72xx models accept a current or voltage signal from an electronic controller to position the motor shaft to any point between open and closed. • M91xx and M94xx models use a 135Ohm modulating proportional signal to position the motor shaft to any point between open and closed. Modutrol IV motors are used for damper and valve control in industrial burner applications and air handling installations. • Screw terminals are standard. • Adapter bracket for matching shaft height of older motors (ModIII) is available. • Most models have field adjustable stroke (90 to 160). • Two adjustable internal SPDT auxiliary switches are factory mounted. • Dual shaft ends for normally open or normally closed valve or damper application. Both shaft ends offer the same torque rating. 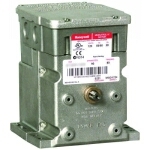 • Modutrol motor timings are independant of line frequency. • Torque ratings for dual-ended shaft motors are the sum of the shaft torques (power-end torque plus auxiliary-end torque). • Breakaway torque is the maximum torque available to overcome occasional large loads such as a seized damper or valve. The breakaway torque is 1.5x the normal rated torque. • Other models than listed in this catalogue are available outside Europe. Most models can be replaced by the available European models.